A few Octobers ago, I photographed a leaf that clearly exhibited zombie decay. This autumn I found a tree that had several skeleton leaves still clinging to its branches. Humans aren't the only things that dress up for Halloween. What an amazing photo. I'm back to blogging at Agent Mystery Case this week. Would love to know what you think of my DIY blog merge and pop over and link up for Worth Casing Wednesday if you get the chance. Beautiful photo! Have a terrific day. You find the neatest nature photos. Thanks for hosting. Whoah! That's kind of creepy. Sort of reminds me of a spider web. This image shows that you take the time to look for photo opportunities. Well done. WOW! So interesting! Perfect for Halloween! I love skeleton leaves and often wonder why sometimes they go like that and other times they don't! Wow, nature is so amazing! Great photo. Wow, so unique! 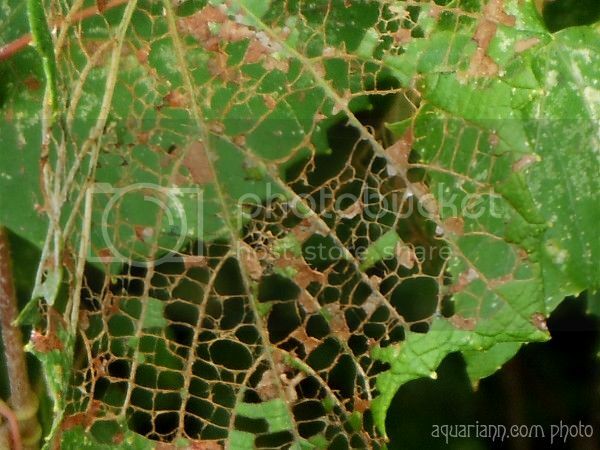 It looks more like a spider web than a leaf! "zombie leaf" - love it. It does looks so interesting. I thought it was a spider web at first. Wow, that is sooo cool. Very unique.